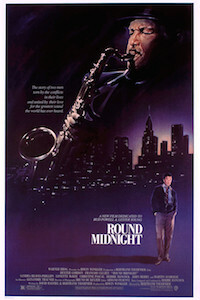 In the 1950s, Dale Turner (Dexter Gordon), a gifted black saxophonist with a drinking problem, leaves behind New York and his estranged family and relocates to Paris. There he plays for a progressive, jazz-loving audience without being judged by his race, and ages quietly in peace. Not intending to turn away from his vices, Dale nonetheless becomes the project of a French fan (François Cluzet) who tries to help him fight his alcoholism, ultimately inspiring both Dale and his music.